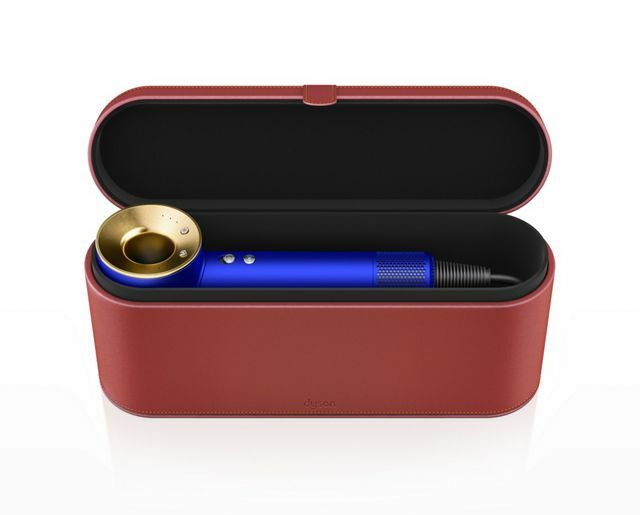 Dyson’s newest luxury offering is a $500 Supersonic hair dryer, which is gold-plated with 23.75 karat gold thankyouverymuch. The gold leaf is “applied by hand using traditional gilding techniques,” on top of red paint matching the included case. “Through use, some of the red base color may become visible beneath through the gold. This is intentional and should not be considered a defect, but rather something that makes each hair dryer unique to its owner.” The new model is selling for a solid $100 more than its non-gold predecessor.